This croque was as big and as cheesy as my grin. The best Croque Monsieur I shoved in my gaping maw was this massive Croque Mixte at Bistro de L’Arche in La Defence (the Canary Wharf of Paris, but with significantly more cheese), where Mr G&J and I stayed, look at the size of it! The heavenly cheese and sauce and frites! It made me as happy as a palourde, let me tell you Dear Reader. Aside from the bill, which was ridiculously expensive and I live in London, so I’m used to being charged the GDP of Uganda for two G&Ts. C’est un blag, non? 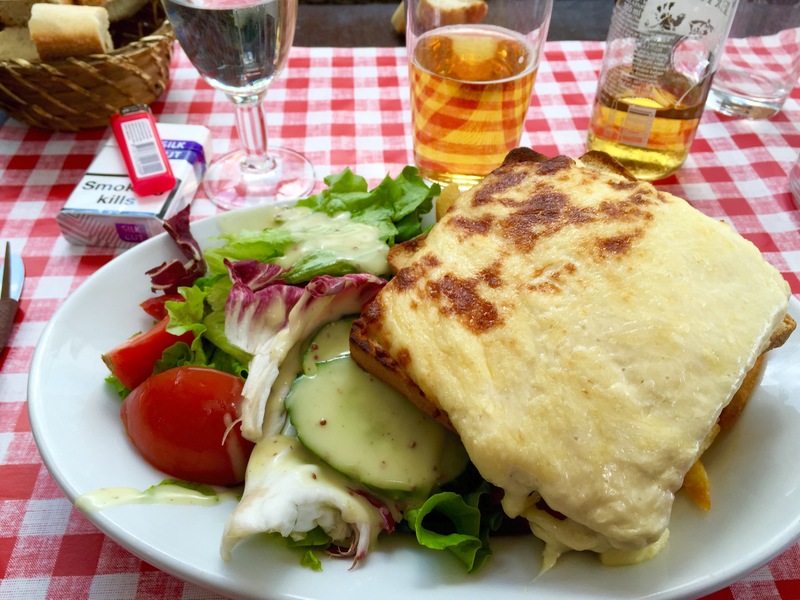 One place that wasn’t stupidly priced for the food was a fabulous restaurant in the 8th arrondisement called J.J. (34 Rue de Penthièvre, 75008) near the presidential palace. We congratulated ourselves in highly smug fashion for finding this little gem, which is tiny, cosy, family run and has some of the best duck I’ve ever had the delight of eating. 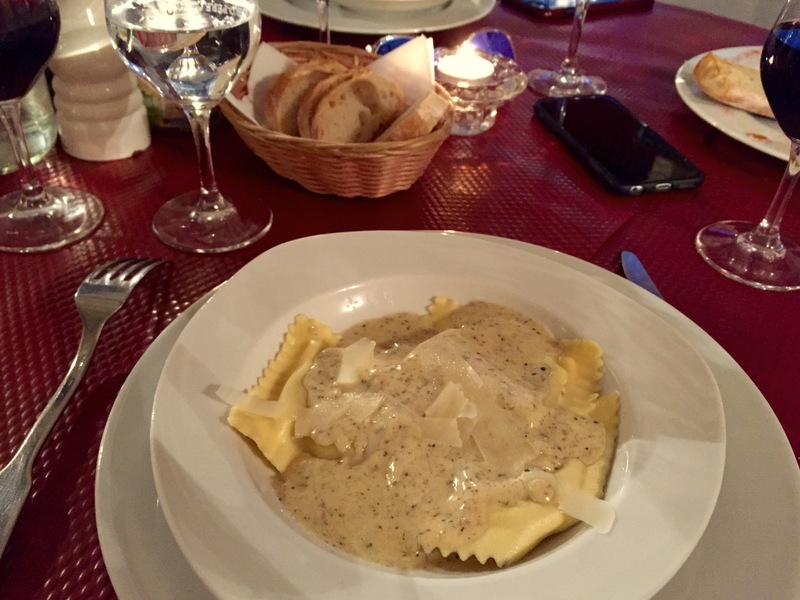 I started off with ricotta-stuffed ravioli with truffle sauce, which was utterly divine and so rich it beat Lakshmi Mittal in the Forbes 100 Richest list. The creamy ricotta was a perfect foil to the rich truffle and washed down a bottle of red from the Alsace (kindly recommended by our waitress) I was in heaven. 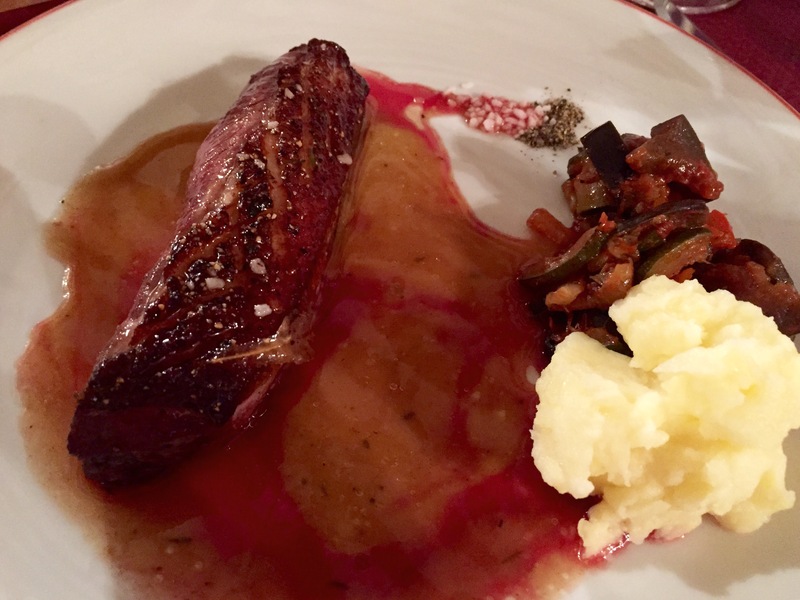 Duck and honey, a divine pairing. Next up was the roast duck served with a simple honey and jus sauce, accompanied with mixed vegetables, mashed potatoes and frites for the table. I’ve not considered putting honey on my duck before, given the meat is so naturally sweet, but this will definitely feature in future G&J recipes for your consideration. Will I ever be good enough to cook this delight? 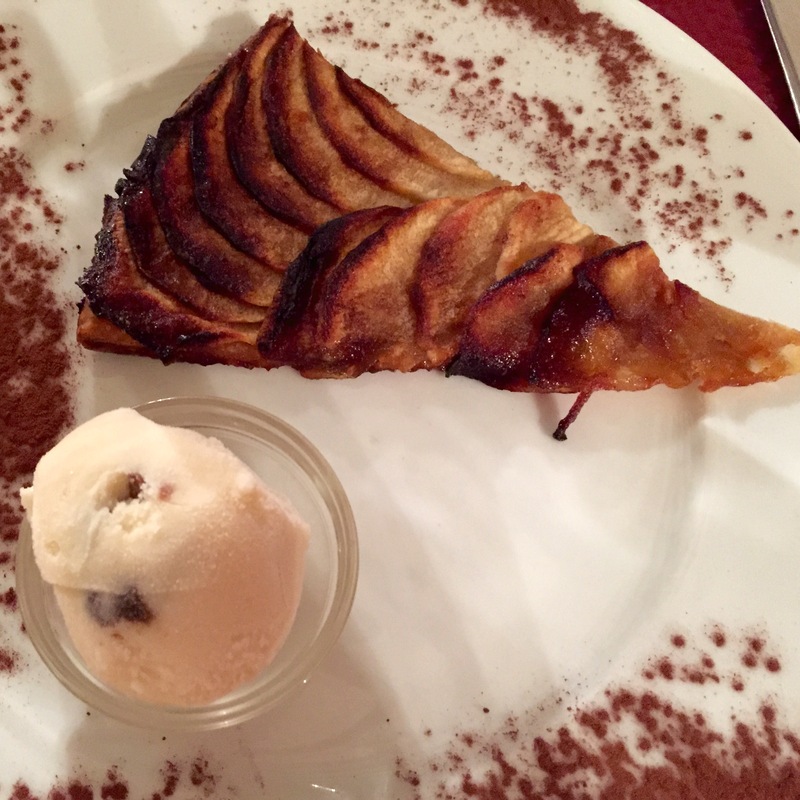 To finish it had to be the tarte aux fines pommes, which was incredibly thin and made with such skill it made me weep for my own poor culinary skills and aspire to be as good as the chef in J.J.s. Keep your eyes trained to the blog (and subscribe) for my take on this classic French recipe. Profiteroles. STUFFED WITH CHOCOLATE ICE CREAM. Vive la France! 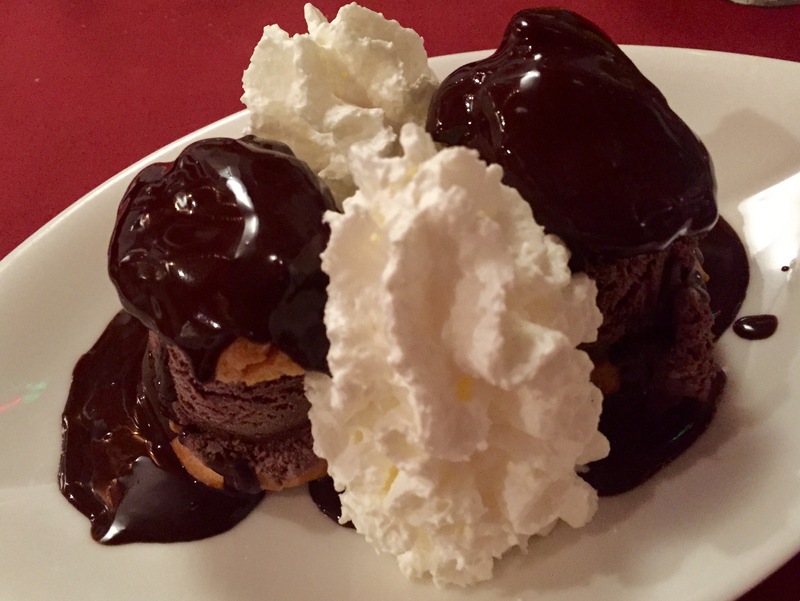 The French do know their way around a dessert and another standout one that I had was profiteroles. No big deal, right Dear Reader? You can get them in Tesco, right Dear Reader? Non! These were profiteroles with CHOCOLATE ICE CREAM sandwiched in where normally you would find the rich custard crème. I repeat, CHOCOLATE ICE CREAM. OMG. I died. Cheese, wine and bread, send me home in style, Eurostar. Sadly, all delicious things have to come to and end, so Mr G&J and I boarded the Eurostar home. A hot tip for you, Dear Reader, is to book Standard premier. 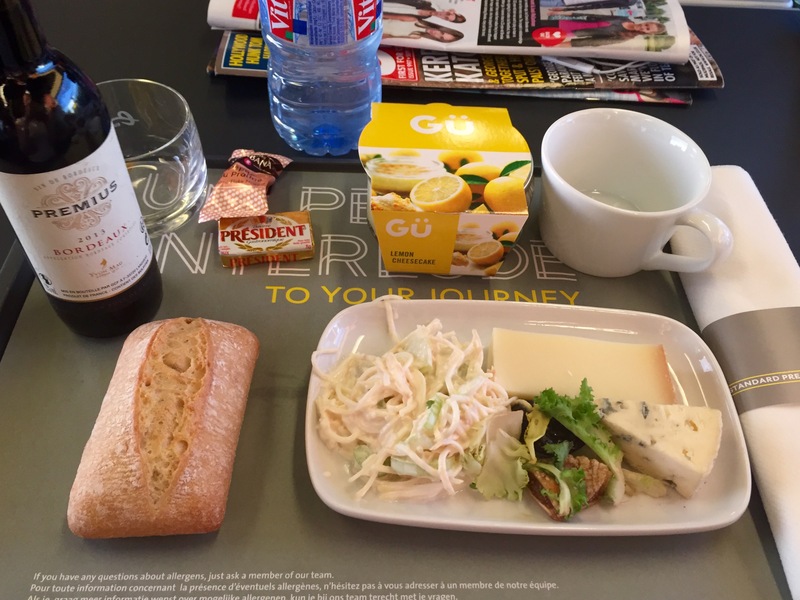 Eurostar Standard Premier is worth every penny/Euro/seashell you will spend. Check out the cheese platter and wine! French bread! Massive seats! 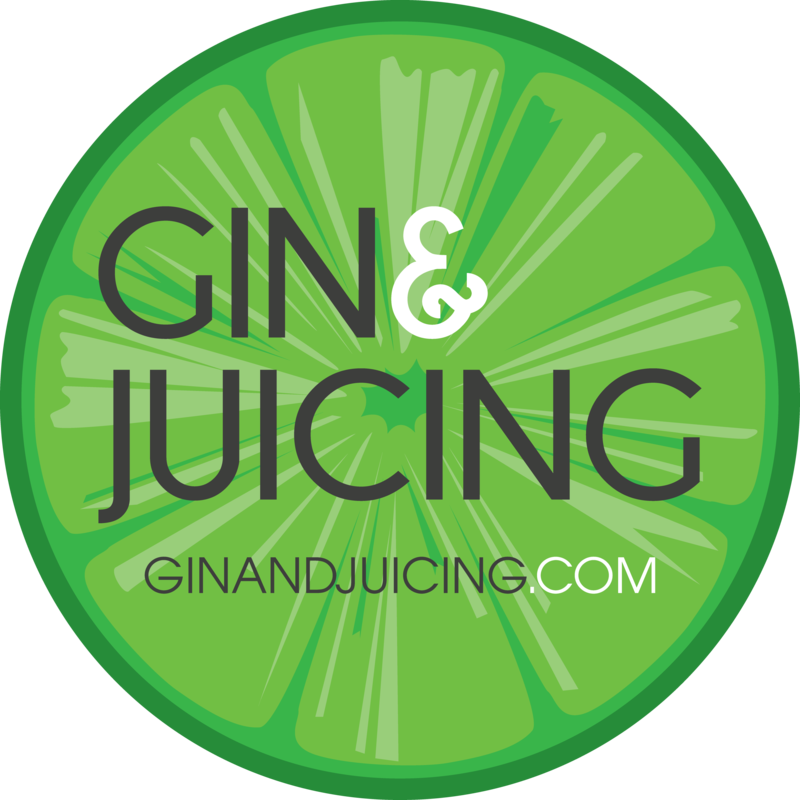 And fantastic service, I really recommend it. Paris, vous vivrez dans mon cœur et mes artères, pour toujours. TRANS: Paris, you will live in my heart and my arteries, forever.